Copyright: © 2017 Parray FQ. This is an open-access article distributed under the terms of the Creative Commons Attribution License, which permits unrestricted use, distribution, and reproduction in any medium, provided the original author and source are credited. In India Hydatid disease still continues to be a significant problem in most General surgery wards. Most of the patients attending to our hospitals are from rural population while still river source of water continues to be the main source of drinking water and most of the drainage frosm toilets is directed into these rivers which contribute to the high incidence of this disease in rural population. Hydatid disease is a parasitic disease caused by echinococcus. In humans four species of genus Echinococcus are known to cause the disease. Echinococcus granulosis is the commonest encountered parasitic infection known to cause cystic hydatid disease. Other species are Echinococcus multilocularis is known to cause alveolar hydatid disease while as other variants Echinococcus vogeli and Echinococcus Oligarthus are known to cause polycystic hydatid disease . Liver is the commonest organ to get involved after infection with Echinococcus granulosis. Rarely in some patients abdominal involvement with abdominal hydatidosis may be primary or secondary. Hydatid spleen 1.5 to 3.5% is the second common site of involvement after liver [2-4]. The literature shows that hydatid cysts have been reported from pancreas [5,6] gallbladder  adrenal  and even colon  apart from the common sites like liver, lungs and spleen. Even secondary hydatidosis [10,11] has been reported from peritoneal cavity at all possible sites and invariably the primary source is liver but rarely even primary hydatidosis  has been reported in peritoneal cavity. There are case reports of primary hydatid cysts in the retroperitoneum  and even in spleen  or paraspinal area . Hydatid cysts have even been reported from very unusual sites like one, muscle, kidney, omentum, brain, heart and great vessels . But one has to remember not to overdiagnose a hydatid in a endemic area because at times you come across surprising lesions mimicking hydatid cyst but may prove to be a bronchogenic  or a non parasitic cyst . The unusual presentations like pyrexia  or rupture  leading to peritonitis may at times be a cause of greater morbidity in these patients of benign disease. In endemic zones a high degree of suspicion is very important to suspect these lesions and substantiate your diagnosis by imaging and serology. Inspite of all these tests you may still fail to establish a definitive preoperative diagnosis in a small percentage of cases. In case the diagnosis is established, then it is better to treat these patients preoperatively with Albendazole 10 mg/kg/day or praziquental 20-25 mg/kg/day. Albendazole can be given as monotherapy or in combination but studies show that better results are obtained with combination therapy . Ensuring safe drinking water supply, improving on sanitary measures, quality control of dietary substances, early suspicion, correct imaging and serology, preoperative and postoperative chemotherapy is going to control and eradicate the disease in endemic areas. Khuroo MS (2002) Hydatid Disease: Current Status and Recent Advances. Ann Saudi Med 22: 56-64. Durgun V, Kapan S, Kapan M, Karabiçak I, Aydogan F etal (2003) Primary Splenic Hydatidosis. Dig Surg 20: 38-41. 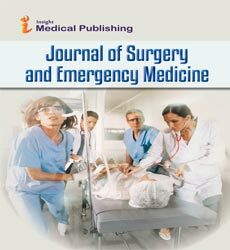 Dar MA, Shah OJ, Wani NA, Khan FA, Shah P (2002) Surgical Management of Splenic Hydatidosis. Surg Today 32: 224-229. Ozdogan M, Baykal A, Keskek M, Yorgancy K, Hamaloglu E, et al (2001) Hydatid Cyst of The Spleen: Treatment Options. Int Surg 86: 122-126. Wani NA, Shah OJ, Zargar JI, Baba KM, Dar MA (2000) Hydatid Cyst of The Pancreas. Dig Surg 17: 188-190. Bolognese A, Barbarosos A, Muttillo IA, Valabrega S, Bocchetti T (2000) Echinococcus Cyst of the Pancreas. G Chir 21: 389-393. Rigas AM, Karatzas GM, Markadis NC, Bonikos DS, Sotiropoulou GG, et al (1979) Primary Hydatid Cyst of The Gallbladder. Br J Surg 66: 406. Akcay MN, Akcay G, Balik AA, Boyuk A (2004) Hydatid cysts of the adrenal gland: review of nine patients.World J Surg J 28: 97-99. Astarcioglu H, Kocdor MA, Topalak O, Terzi C, Sokmen S (2001) Ozer E.Isolated Mesosigmoidal Hydatid Cyst as an Unusual Cause of Colonic Obstruction. Surg Today 2001 31: 920-922. Daali M, Hssaida R, Zoubir M Had A, Hajji A (2000) Peritoneal Hydatidosis: A Study of 25 Cases in Morocco. Sante 10: 255-260. Sarmast AH, Showkat HI, Shah NF, Mujtaba B, Malik AA, et al (2016) Hydatids everywhere: A 15-Year Experience of Unusual Locations of the Disease in an Endemic area. J Res Med Sci 2016: 21-25. Parray FQ, Wani SN, Bazaz S, Khan SR, Malik NS (2011) Primary Pelvic Hydatid Cyst. Case Reports in Surger. Sherwani AY, Sarmast AH, Malik AA, Shah M, Parray FQ, et al (2015) Primary Retroperitoneal Hydatid Cyst. Acta medica Iran 53: 448-51. Parray FQ, Ahmad SZ, Sherwani AY, Chowdri NA, Wani KA (2010) Primary Paraspinal Hydatid Cyst: A Rare Presentation of Echinococcosis .Int J of Surgery 8: 404-406. Wani RA, Wani I, Malik AA, Parray FQ, Wani AA (2012) Hydatid Disease at Unusual Sites. IJCRI 3: 1-6. Parray FQ, Sherwani AY, Dangroo SA, Bisati RA, Malik NS (2012) Retroperitoneal Bronchogenic Cyst Mimicking Hydatid Liver. Case Reports in Surgery. Sarmast AH, Showkat HI, Parray FQ, Lone R (2012) Non Parasitic Splenic Cyst. Acta Medica Iranica 50: 849-851. Showkat HI, Sarmast AH, Amin A, Mir SF, Kotwal S, et al (2012) Hydatid Lung Cyst in A 5-Year-Old Boy Presenting with Prolonged Fever. SAJCH 6: 23. Bari S, Malik AA, Parray FQ, Sammon H, Munfat M, Bakshi IH (2008) Delayed Diagnosis of Traumatic Rupture of Hydatid Cyst of Liver-a case report. Int J of Surg 6: 18-19. Cobo F, Yarnoz C, Sesma B, Fraile P, Aizcorbe M, et al. (1998) Albendazole Plus Praziquantel versus Albendazole Alone as a Pre-Operative Treatment in Intra-Abdominal Hydatisosis Caused by Echinococcus Granulosus. Trop Med Int Health 3: 462-466.